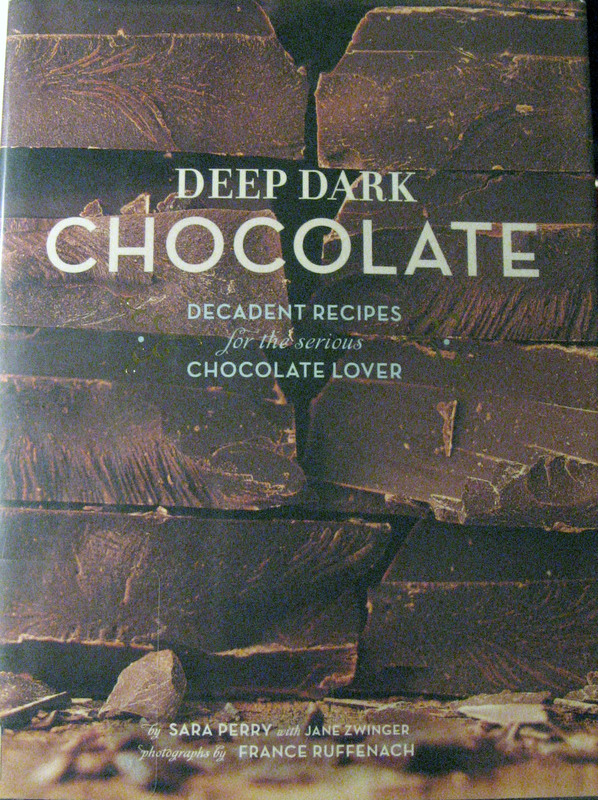 My library listed 111 chocolate cookbooks to choose from. Despite that high number, I feel there is room for even more chocolate cookbooks. Why? Chocolate is such a passion for so many people, the recipes are endless, and the options for photography innumerable. My craving for beauty and inspiration was only slightly satisfied with the books I reviewed, despite the fact that these were good books. 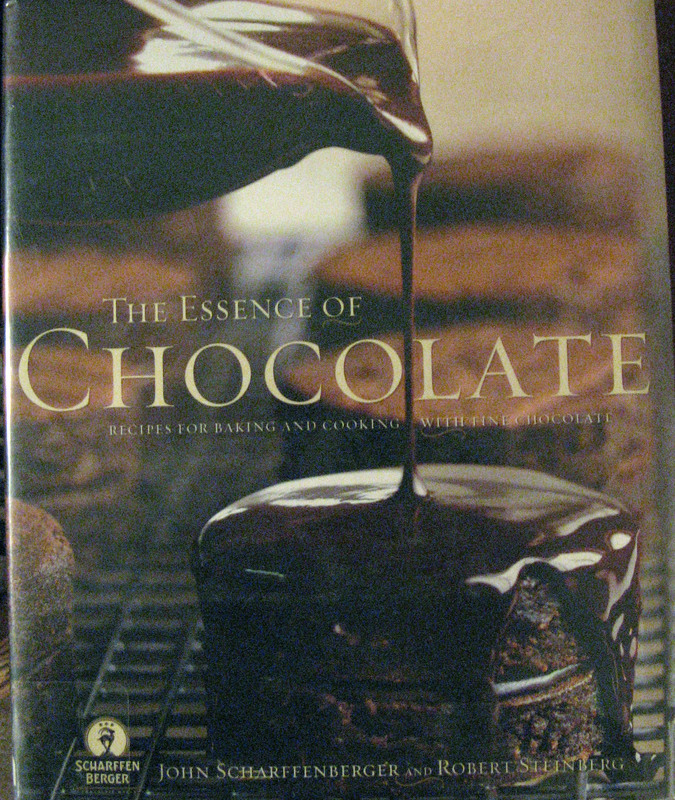 The Essence of Chocolate by John Scharffenberger and Robert Steinberg was perhaps my favorite. The book is written by the founders of Scharffen Berger Chocolate Makers (dubbed America's finest chocolate). 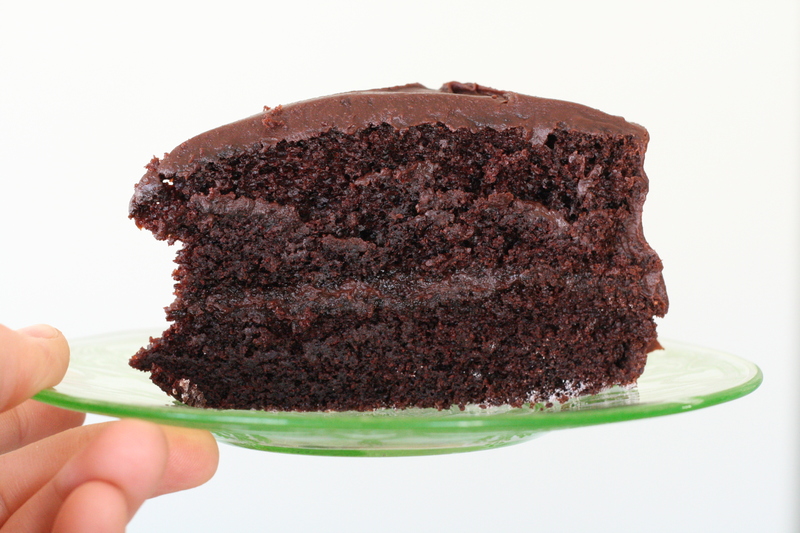 The recipes are divided among three chapters: Intensely Chocolate, Essentially Chocolate, and A Hint of Chocolate. You will find recipes that include: Orange Chocolate Ganache Tart, Chocolate Pudding Cakes, Cookies and Brownies, Ice cream and Sorbets, Cheesecakes, Chocolate Ginger Pots de Creme, Chocolate Zabaglione Trifle, Pull-Apart Kuchen, Chocolate Chunk Challah and Mascarpone-Stuffed French Toast. The book includes over 100 recipes, so there are many to choose from. Interspersed throughout the recipe chapters are details about how the chocolate company was founded, as well as how chocolate is grown and processed. The book is nearly 400 pages long and contains many beautiful photographs. Preheat the oven to 350F. Lightly butter the bottom of two 9-inch round cake pans. Line the bottom with parchment paper, then butter and flour the parchment and the sides of the pans. Divide the batter between the cake pans. Bake for 30-35 minutes, or until a skewer inserted in the center comes out clean. Let the frosting cool, whisking gently from time to time. Don't overwhip or you'll create air bubbles. 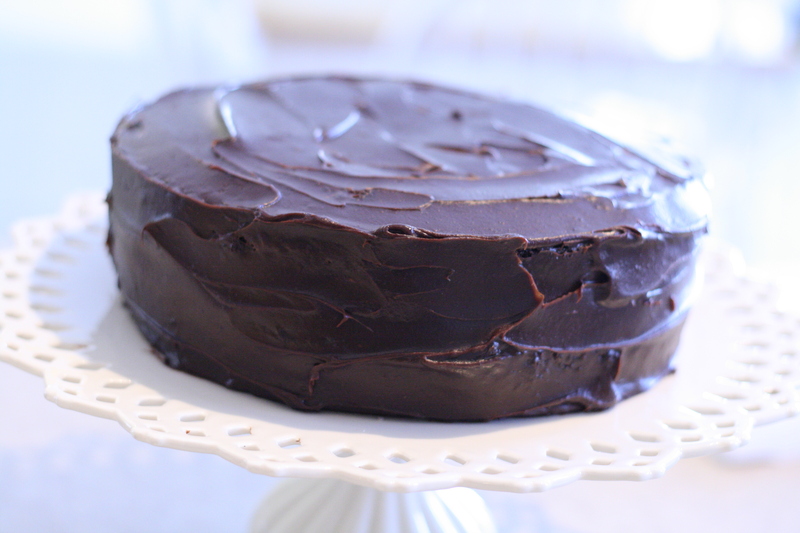 Spread the frosting with a hot palette knife or icing spatula to give the frosting a beautiful shine. 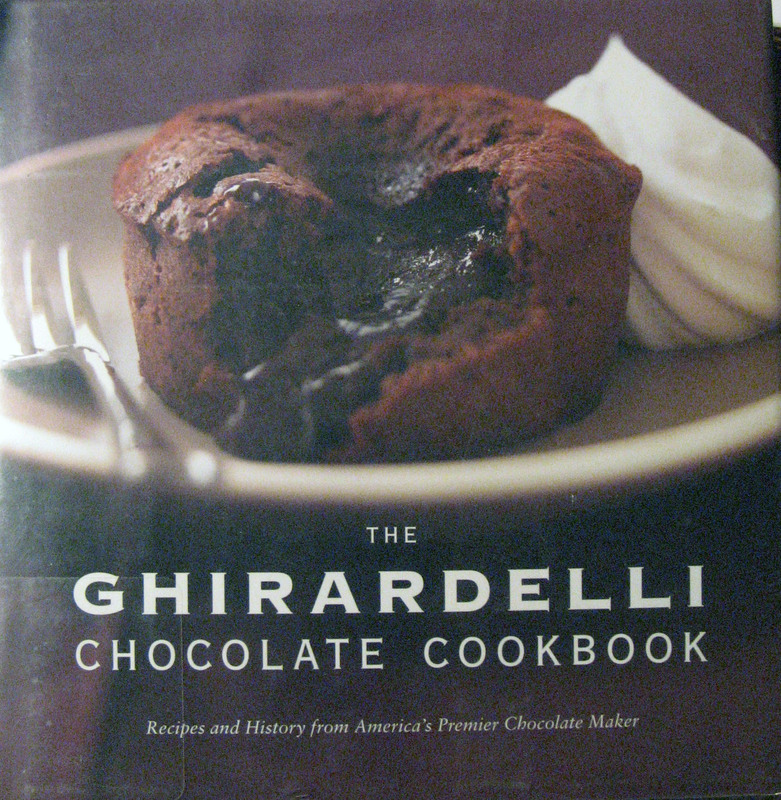 Next up is The Ghirardelli Chocolate Cookbook put out by the Ghirardelli Chocolate Company. A nice little book of about 8 inches square and 150 pages, there are many tempting recipes and good photos. Chapters include Cookies, Brownies & Bars, Cakes, Cupcakes & Tortes, Pies, Tarts & Other Spectacular Desserts, Candies & Bonbons, Breads & Breakfast, and Anything-But-Boring Chocolate Drinks. I chose to make a Chocolate Pecan Pie and I was not disappointed. This pie was amazing and will be something that I turn to in the future. The pie filling was like a dark chocolate brownie, heavily laden with nuts but with the pecan pie filling consistency. Preheat the oven to 325F. In the top of a double boiler or in a heatproof bowl over barely simmering water, melt the chocolate and butter, stirring occasionally until smooth. In a large bowl with an electric mixer at medium speed or with a whisk, beat the eggs, corn syrup, brown sugar, vanilla, and salt until blended. Beat in the chocolate mixture. Stir in the pecans and pour into pie shell. Place pie on a baking sheet on the middle rack of the oven and bake for about 55 minutes, or until the filling is set. Cool completely on a rack at room temperature. Deep Dark Chocolate by Sara Perry. This is a beautifully designed little book with about 200 pages of scrumptious looking recipes including brownies, cookies, pies, tarts, cheesecake, puddings, custards, souffles, sauces, fondues, ice-creams, drinks, breakfast items, and more. The photos and design give the book a vintagey feel. 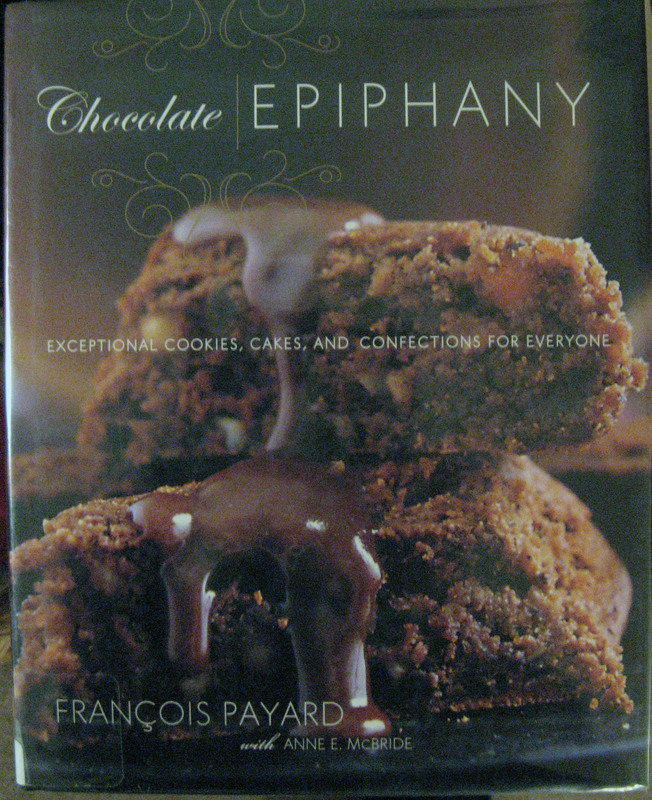 Chocolate Epiphany by Francois Payard is another large, picture-filled book of nearly 300 pages and 100 recipes. It includes a number of breads not mentioned in the other books as well as some less-known varieties of chocolate cookies. Other temptations include: Chocolate Popcorn, Chocolate Marshmallows, Cranberry-Chestnut Tart, Sweet Potato Chocolate Tart, and Black Forest Cake. The author is French and this means many French and European-influenced dishes are included in the book. 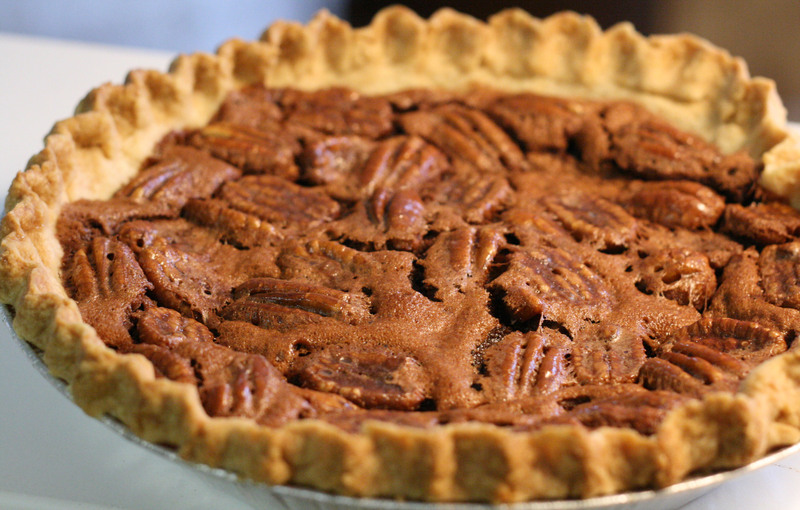 The chocolate pecan pie sounds just delectable! Can't wait to try it...thank you! Yum, yum, yum!! These look WONDERFUL!!! Today I made the chocolate homemade oreos from SmittenKitchen (check it out on smittenkitchen.com in the recipe archives!) so my chocolate baking cravings have been fulfilled at least for now... however, when they arise again, I will know where to look. This is a great wealth of information that you are providing for free. I need to bookmark this web site so I can visit next week and read more posts.